Wow! That was exciting, huh? 2 outs away from his third no-hitter. Unfortunately, it was not to be...Verlander served-up a breaking ball that Pirates' DH Josh Harrison drove into the gap in center field. JV will have to save it for another day. Verlander threw a 1-hit, 6-0 shutout and added 12 strikeouts! 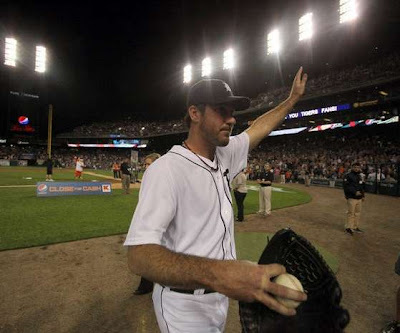 Verlander's first no-hitter was June 12, 2007 against Milwaukee. His second - May 7, 2011 against Toronto. This was his very first one-hitter. During the final innings, Twitter was lit-up with comparisons between Verlander and Nolan Ryan. Verlander's a great pitcher. One of the all-time greats. But, folks, let's not get carried away. To put it in perspective, Nolan Ryan threw 7 no-hitters. Do you know how many close calls he had? Ryan took a no-no into the 7th inning or later 31 times! 24 of them were broken-up by a hit - the other 7 were no-hitters. Another cat on Twitter said Justin Verlander is the best pitcher he's ever seen. I was lucky enough to see Jon Lester's no-hitter on May 19, 2008 from the Green Monster seats. Verlander's a better pitcher than Lester. But he's NOT the best I've ever seen. 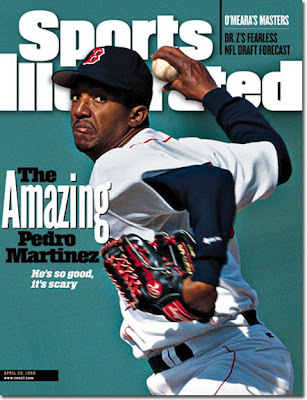 The best pitcher I've EVER seen is Pedro Martinez. In his prime he was overwhelming. He made hitters look silly. Just nasty stuff. Martinez never threw a no-hitter. He did throw 9 innings of no-hit ball. On June 3, 1995 Martinez pitched 9 PERFECT innings against the San Diego Padres before allowing Bip Roberts to hit a single in the 10th inning. The Expos won the game 1-0. Pedro won the Cy Young 3 times. He finished his career with 3,154 strikeouts and a 2.93 ERA. Verlander won the American League MVP Award last season. Here are the stats that won him that award: Win-loss 24-5, 250 strikeouts or 9.0 per nine innings pitched, 57 walks, for a 4.39 strikeout-to-walk ratio, an ERA of 2.40. Here are Pedro Martinez' stats for the 1999 season: Win-loss 23-4, 313 strikeouts or 13.2 per nine innings pitched, 37 walks, for a strikeout-to-walk ratio of 8.46, an ERA of 2.07...and this was at the height of the steroid era! Gee, which cat had a better season? Yet, no MVP for Pedro??? A few years ago, I sat behind home plate at Comerica Park, under a full moon and watched Pedro Martinez just decimate the Detroit Tigers' lineup. I've never seen a pitcher that dominant. 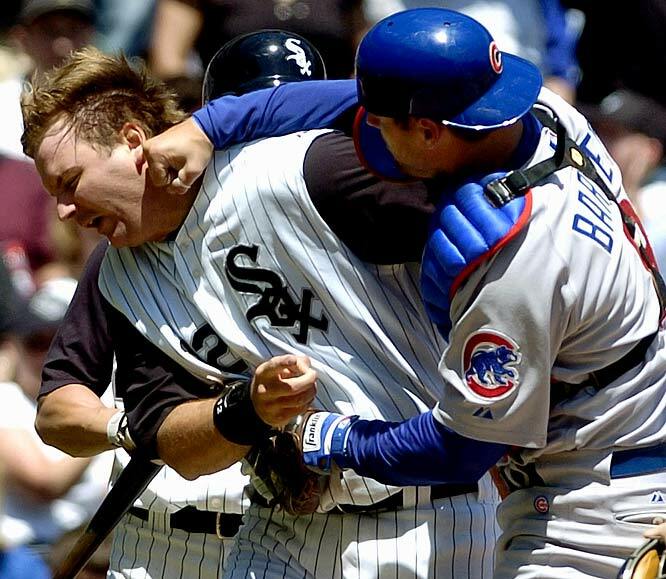 The Battle of the Windy City started yesterday too. White Sox vs Cubs. Kerry Wood announced that he would retire after the game. Wood came in during the 8th inning to face one batter. He struck out Dayan Viciedo on three pitches. 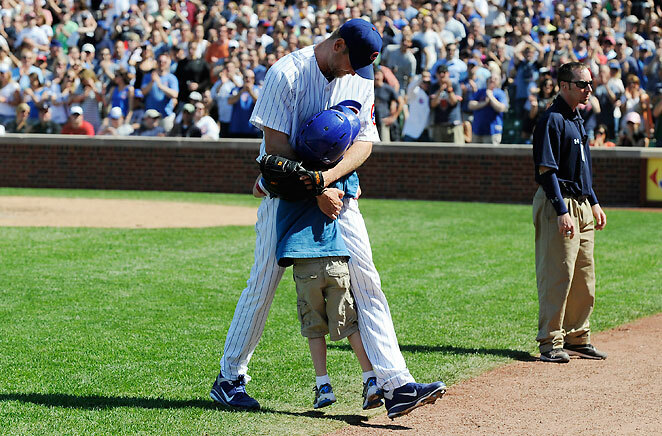 He left to a standing ovation from the Wrigley Field crowd and hugged his son on the way to the dugout. It was an awesome baseball moment. 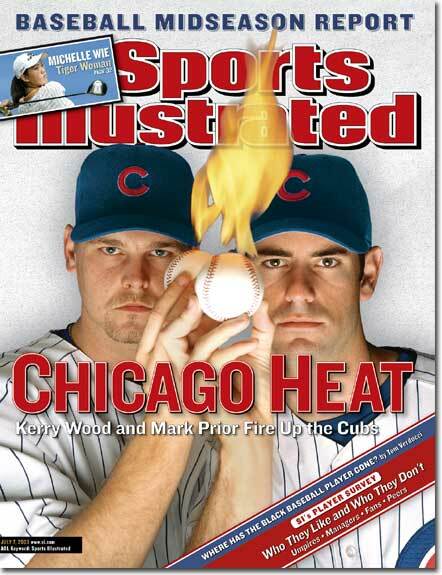 Everyone remembers Kerry Wood for one thing: His 5th career start. Wood was a 20-year-old rookie, on May 6, 1998, when he tied an MLB record with 20 strikeouts in a one-hit, no-walk, complete-game shutout of a Houston Astros club that won 102 games that year. His game score - a Bill James-devised formula to rate individual pitching performances - was 105, the best 9-inning mark in baseball history, ranking ahead of every perfect game! 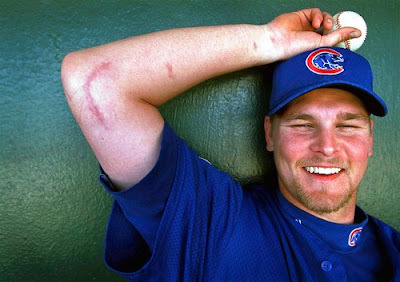 Unfortunately, Kerry Wood's career was sidetracked by injuries. 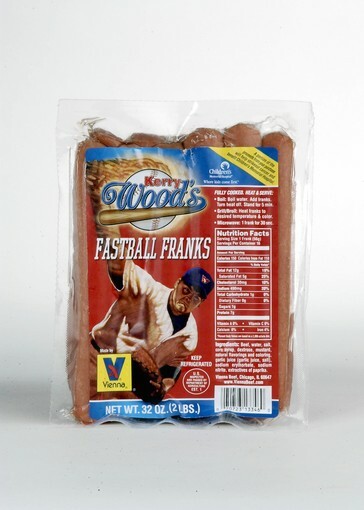 Over 14 years Wood was on the disabled list 16 times - more than 800 days! He had Tommy John surgery after his rookie season and was never the same.